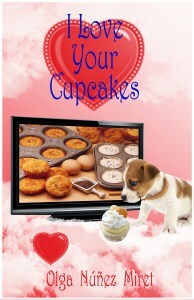 I’m honoured to be featured in #RomancingSeptember with my novel ‘I Love Your Cupcakes’. Thanks, Rosie and all romance lovers! And don’t miss her reviews and the reviews of her team! I only started writing straight romance a couple of years ago. Although some of my short stories and longer works of fiction (some I haven’t published yet) contain romance elements, I had never thought about writing a romance as such before. To write, I’d say contemporary or chick-lit. But recently I’ve read several historical romances that I’ve really enjoyed. A fictional mid-sized American town. Introduce us to the main characters. #Abejas y miel. Más momentos de mis vacaciones. 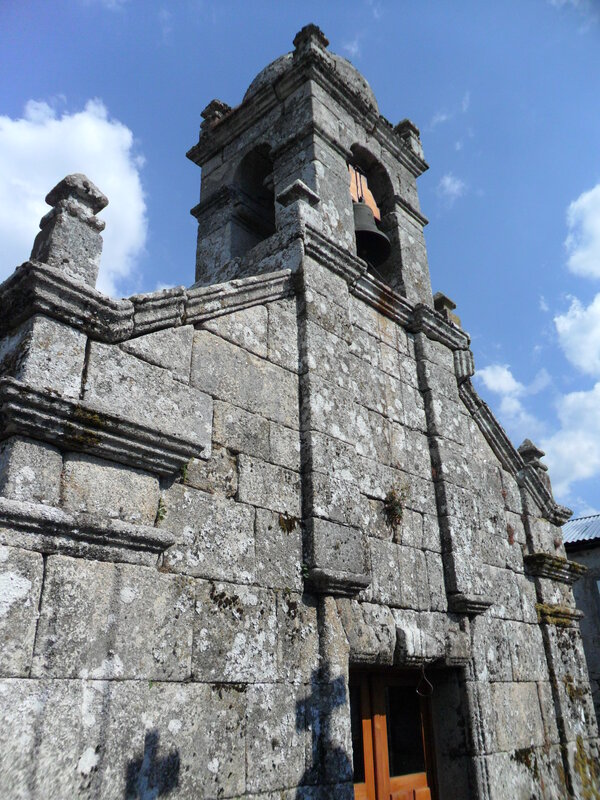 Como ya sabéis he estado fuera y os prometí que compartiría algunas de mis experiencias mientras estuve en Galicia. Y como a la gente parecieron gustarle las fotos del primer post, pues aquí os traigo más. Si recordáis, compartí una foto de mi tío Eloy extrayendo miel de los paneles de la colmena. Mi madre y yo nos pasamos una tarde ayudándole con la tarea y fue muy amable explicándonos cómo funcionaba todo, hablando de lo que han cambiado las cosas (él aún usa una máquina manual para hacer girar los paneles y extraer la miel, pero apicultores que tienen más colmenas y organizaciones más profesionalizadas usan centrífugas eléctricas y el proceso está mucho más automatizado). Nos explicó que comparado con la época de sus padres (mis abuelos) el nivel de producción había aumentado mucho. No todas las cosas han mejorado, por eso. Nos explicó que había gente que para incrementar la producción alimentaba a las abejas en lugar de dejar que produjeran toda la miel como resultado de su búsqueda de flores y polen, y la calidad final no era tan buena. Mi tío nos explicó que tener colmenas no requiere una gran inversión de tiempo (hay que cuidar de las colmenas y extraer la miel hacia finales del verano, darle medicación contra los parásitos y enfermedades, pero no hay mucho que hacer en el invierno). Hay apicultores que viven relativamente bien de ello, pero por supuesto tienen muchas abejas y hay que invertir en el equipamiento. En su caso, él solo hace miel para familiares y amigo y si le queda algo puede que la venda, pero no ha pensado en incrementar mucho la producción (ya que lo lleva solo, aparte de algún voluntario ocasional!). Ya que no tenía varios trajes no pudimos ayudarle en las colmena, pero una vez estaban en casa, nos fuimos a echarle una mano. Los paneles vienen sellados con cera de las abejas y la capa superior debe cortarse y retirarse antes de que se pueda extraer la miel. La miel va goteando de estos cortes y se recoge y filtra luego. Y los paneles, ya sin cera, se colocan en la centrifugadora. ¡Y los hacemos girar! Aquí está un video que cree con varias de las fotos que tomé (y un video cortito que filmé con el teléfono). Algunas son un poco abstractas pero el efecto me pareció interesante. Y aquí os dejo unos cuantos enlaces, por si os interesa el tema. Y os dejo una de las fotos del castaño milenario, que es muy especial. Muchas gracias a mi tío por dejarnos ayudarle y por la información, gracias a vosotros por ver y leer. Y ya sabéis, dadle al me gusta, comentad, compartid y haced CLIC! 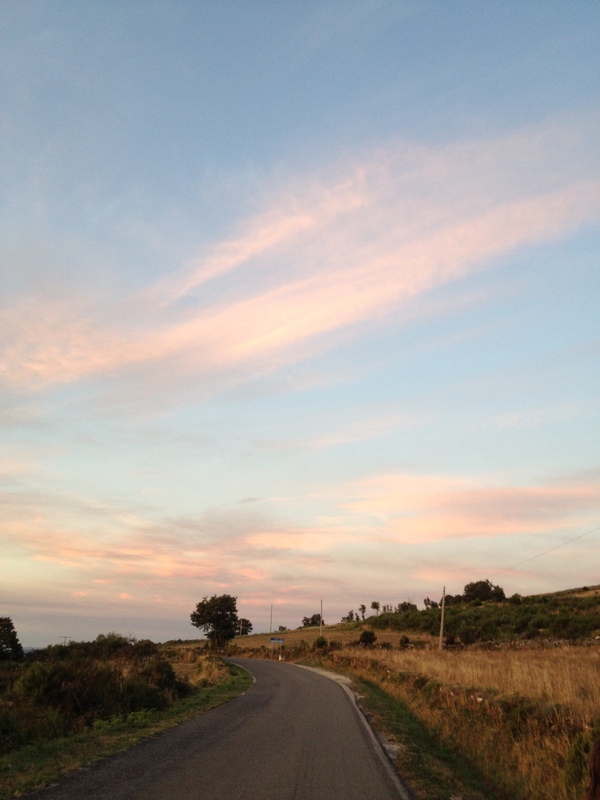 As you know I’ve been away and I promised I’d share a bit of my experience whilst in Galicia. 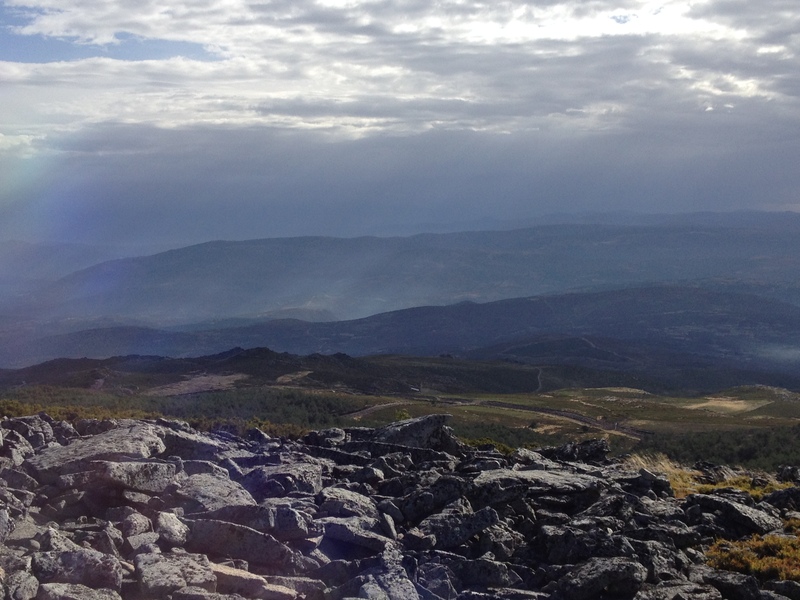 As you were kind enough to show a lot of interest in my first post… well, you’ve asked for it. If you remember, I included a picture of my uncle Eloy extracting honey from the panels of the beehive. 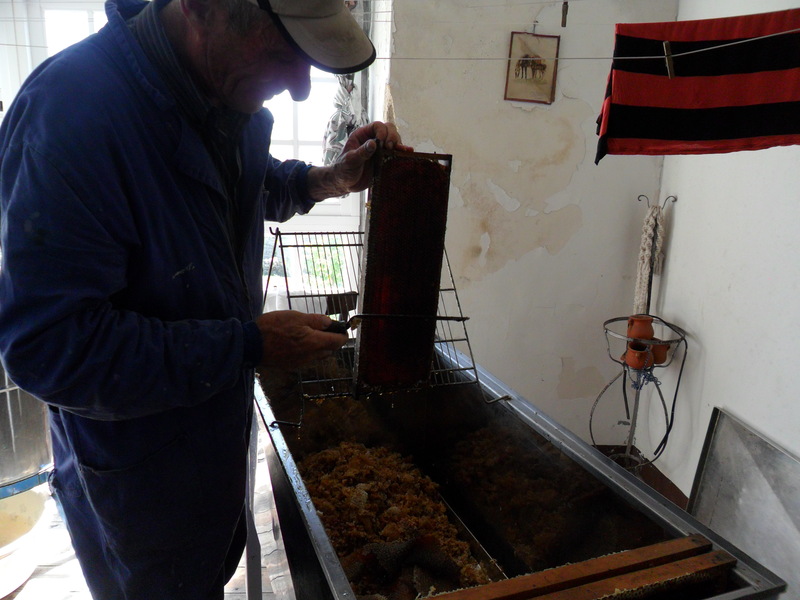 My mother and I spent an afternoon helping him with the task and he was kind enough to talk about the process, reflect on the changes it had seen (he still uses a manual contraption to spin the panels and get the honey removed, but people with more beehives and a more professional organisation use electric ones and the process is more automated). He explained that compared to the time of his parents (my grandparents) the level of production had increased dramatically. Not all are positives, though, and he noted that some people, to increase the production, fed the bees rather than rely solely on them to go searching for flowers and pollen and the quality was not as good. He also explained that keeping bees is not a huge time investment (you have to look after the beehives and extract the honey towards the end of the summer and provide them with medication due to pests afterwards, but not much to do in the winter). He also observed that some people can make a fair living out of it, but of course they have to keep many bees. In his case, he only does it for friends and family and if he has some spare might sell it, but has not considered a big increase in production (as he manages single-handedly). As there weren’t several suits we couldn’t help him with the actual extraction of the panels, but once those were transported home, we were there. The panels come sealed by the wax of the bees and that top layer must be cut off before the honey can be extracted. The honey keeps dripping from those cuttings. And the panels are placed in a centrifuge. And we make them spin! Here is a video I created with some of the pictures I took (some are a bit abstract but I think they create an interesting effect. And there is a small video included too). What is the value of bees? Discussion in The Guardian about the vote on banning certain pesticides (noenicotinoids) in 2013. Thanks to the publishers (Blue Moon Publishers) and to Net Galley for the gift of an advance copy of this book. I have read that it is undergoing major revisions, so it might be that some of the issues mentioned are no longer there if you get the final edition. 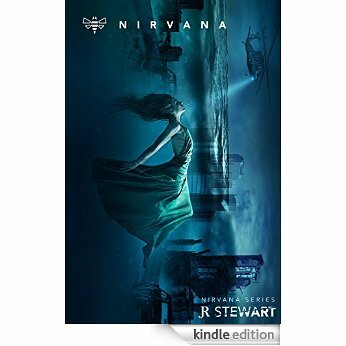 Nirvana, despite the name, is a dystopian Young Adult novel. It is set in a future where bees have disappeared and nature as we know it has gone; there are a few places left where people live (the novel takes place in Canada, around Toronto, although there are hints throughout the book that the situation might be slightly different in other places), and the Hexagon (yes, I know) controls “security” (read intrudes in everybody’s privacy, destroys all books and keeps a tight hold on everybody’s activities, words and imagination). 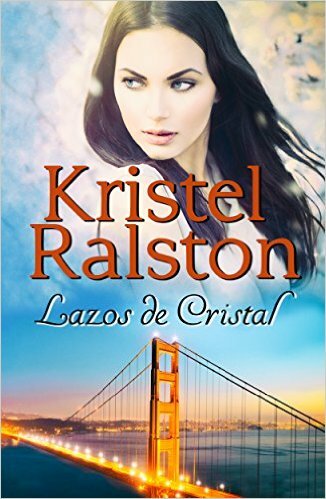 Larissa, a young woman whose husband (a very talented scientist) disappeared during a mysterious mission six months ago is not ready to accept his death and refuses to let go. The novel mostly focuses on Larissa, although the third person point of view sometimes shares the thoughts of other characters, like the Corporal, Serge (a childhood friend of Larissa’s), the psychologist…but not consistently and sometimes it seems to hide things, and we also get letters, documents, etc. The time-line can be somewhat challenging at times as Larissa can flicker between memories (how she met Andrew, her husband, their time at university, some of her musical gigs, her childhood memories including some very dark ones) and things that are happening at the time of the action of the novel, when she is being pressurised by the authorities to sign a document acknowledging that Andrew is dead. Although this is how our mind works, sometimes it’s not easy to tell the difference until you reach the next change in perspective. Perhaps a different type of letter or a break would make it easier. I also found the fact that many characters have similar names (all beginning with K, I’m not sure why) made me go back and forth to make sure. The description of Larissa’s psychological state and emotions is accurate for somebody suffering from a grief reaction (even if in her case she has no real proof that her husband is dead). She feels guilty, angry, sad, confused and doubts constantly about what to do. Her family circumstances were already complicated and she does not know if her sister is alive or not and it’s not difficult to understand that she’d be reluctant to let go of the one bit of family she had left. We might lack outside perspective on her and know little about her previous personality so it’s difficult to get a full picture of the character but this will probably build over time. I am not an expert in science-fiction but I know world-building can be one of the main strengths of these novels. After reading the author’s biography I understand why the parts that deal with virtual reality (the Bubble, that is where the crème of society live, in a fake world of their choosing, and Nirvana, that is the low-key version that workers might access, but in small doses) are very strong and mind-boggling, even scarily so. By contrast, the descriptions of the rest of the world are very succinct and only much later, when the point of view returns to the characters in positions of authority, we get to know a bit more about the world order, but this is more tell than show (although that is one of the difficulties with the genre, maintaining the balance between trying to make the story come alive whilst at the same time leaving something to the readers’ imagination). The idea behind the politics of that world reminded me of 1984 (the level of intrusion into people’s lives is greater than even insiders realise), and the conspiracy theorists will “enjoy” the implications of some of the things uncovered and suggested towards the end of the novel. They throw an even darker light on the authorities and put into question loyalties and certainties. The comments about the interests behind big funding for scientific research and how those dictate the direction human progress takes made me pause and gave me cause for concern. (Having studied Medicine this is a thing we’re always aware of). I found the brief discussions on physics and even music theory fascinating, but might not be to everybody’s taste, especially younger readers interested mainly in the characters. I found the overall story engaging, although the surprise at the end was hinted at and most readers are likely to have guessed it by then, but it is a good twist and it leaves room for much more to come. Thanks to my uncle Eloy for the explanations, thanks to you all for reading and viewing and if you’ve enjoyed, like, comment, share, and if you want to CLICK, go ahead! 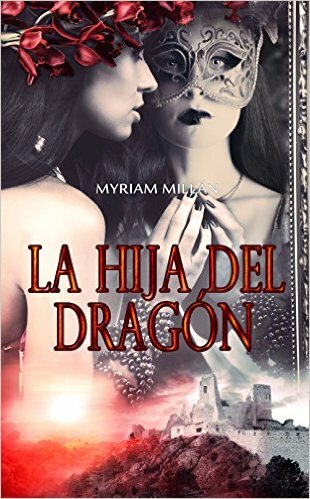 #Finalistas del segundo concurso de novelas en español de @Amazon. Ya falta menos! Como recordaréis, antes de que desapareciese de las redes durante unas semanas estuve compartiendo información sobre algunas de las novelas que se presentaban al segundo concurso de novelas independientes de Amazon. La semana pasada anunciaron las cinco novelas finalistas, y entre ellas están tres que yo os había traído. El caparazón de la tortuga de Lola Mariné. La novelista fingida de Rafael Costa. Ya puestos, decidí traeros información de las otras dos novelas finalistas, ya que yo tengo mucha curiosidad. 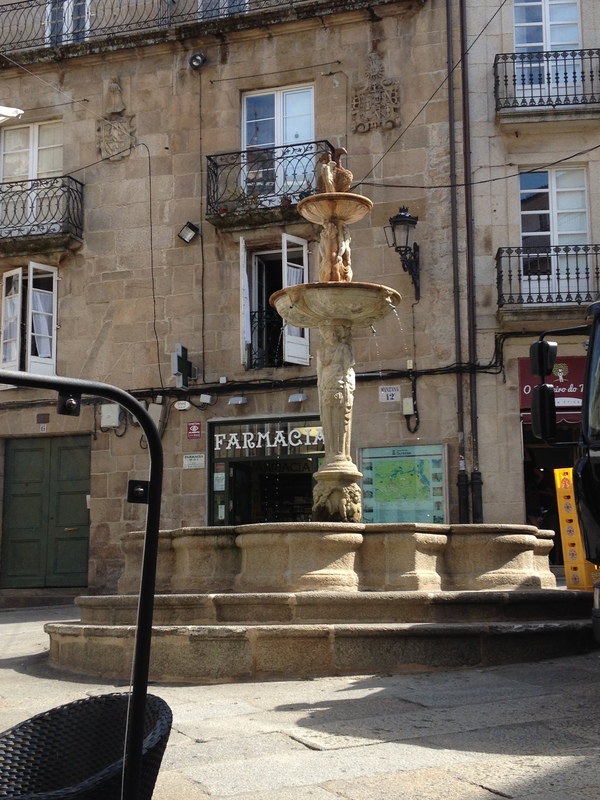 En el año 1600, el pueblo de Nyitra pudo ver cómo una mente perturbada acababa con la vida de más de quinientas doncellas. Difundida por una creencia popular de que habitaba un demonio en los bosques que buscaba sangre de jóvenes vírgenes, los habitantes de aquellas tierras, no tenían dudas, que el destino que sufrían sus hijas, estaba relacionado con algo que ocurría tras los muros del castillo de Cachtice. Londres 2013, comienzan a aparecer cadáveres de jóvenes procedentes del tráfico humano, aparentemente desangradas con antiguos aparatos de tortura. El Doctor Emanuel Mason decide estudiar el caso. Pronto descubre que esta vez tendrá que analizar una de las mentes más sádicas de la historia hasta llegar a los orígenes de un misterioso ritual de sangre, un rito milenario practicado por distintas culturas y religiones que aún hoy día es un misterio para el ojo humano. Porque hay razones para matar que nunca deberían ver la luz. Matthew Talley es un tipo con agallas y dispuesto a todo para conseguir sus propósitos. Su mente ágil lo ha encumbrado como uno de los publicistas más importantes de San Francisco. La vida le ha enseñado, a las malas, que el amor está sobrevalorado. En medio de una ambiciosa campaña publicitaria, Matt se ve obligado a contratar a una mujer que puede resultar especialmente peligrosa, no solo para sus objetivos profesionales, sino también para su desconfiado corazón. Victoria Marsden ama la independencia tanto o más que la publicidad. Cuando un aparatoso accidente trastoca por completo su vida, Victoria se sume en una agobiante sensación de culpa y frustración. Con los ahorros rozando números rojos, cualquier oferta de trabajo es bienvenida. Sin embargo, reencontrarse con Matthew Talley, luego de la decepción y el dolor que le causó en el pasado no será fácil, pero ella está dispuesta a aceptar el desafío. Ahora ya sabemos un poco de todas. La novela ganadora será anunciada el 15 de Octubre. Suerte a todos los finalistas, y a vosotros, gracias por leer, y ya sabéis, dadle al me gusta, comentad, compartid, haced CLIC, y no os olvidéis de leer! 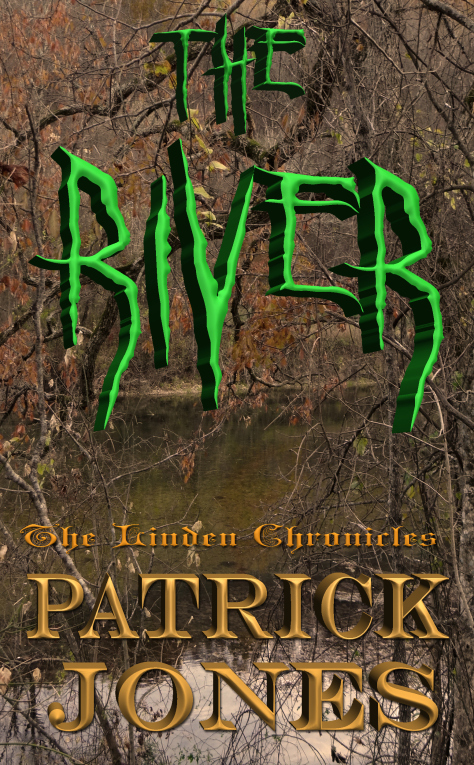 #Newbook ‘The River’ by Patrick Jones (@PatrickJones56). You’ve been warned! It’s Friday and day for new books. And today it’s time to get scared, really scared. I met Patrick Jones and family (they are great supporters of his writing) on Twitter and I’ve been following his career ever since. 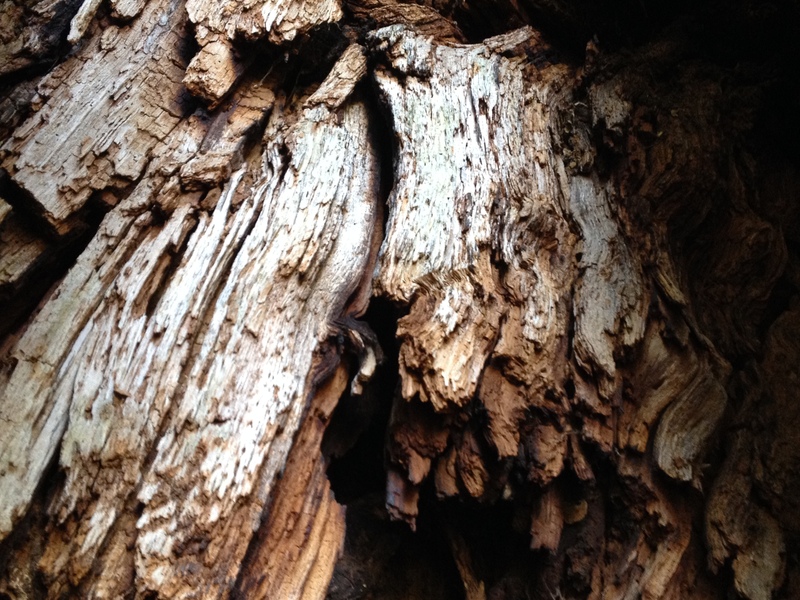 He blogs about writing, shares fascinating videos of his garden, and is generous sharing other writers’ work. Pat Jones was born and raised in St. Louis, Missouri. His special interests include the science of paleoanthropology and archaeology. 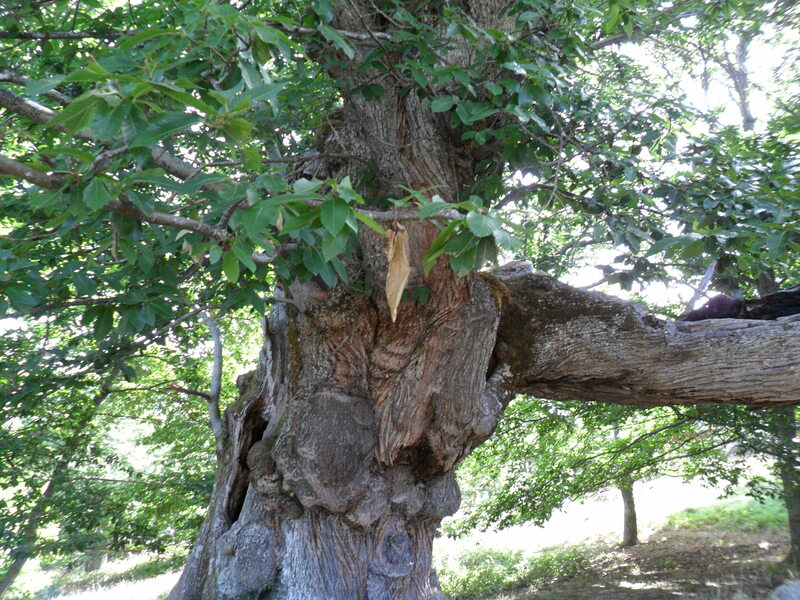 Woodworking is one of his favorite hobbies, with special emphasis on the unique grains and textures of various species of trees. He and his wife, Sandy, thrive on designing and creating a flower garden of perennials, second to none! Constantly evolving, the garden began as a way that he could surprise his wife on her birthday. The rest is history! The garden now spans one forth of an acre! When their children graduated from school, the couple relocated to rural Missouri where they now reside with their four dogs. The love of the area, in combination with the uniqueness of the people, provided the impedance for “The Wolf’s Moon”. A new story that takes place in the same universe as Wolf’s Moon (Patrick was kind enough to clarify it isn’t a sequel but an independent story) is already with us, and I couldn’t resist bringing it to you, as it has received a great deal of attention. In rural Missouri, Crawford County has had more than its share of wildlife problems. Not even a year earlier the woods were home to a vicious killer brought back from extinction. In the novel, The Wolf’s Moon, Mark Lansdowne and his pal, Warren Skruggs, sent them back…but at a cost. Now something is haunting the rivers in Crawford County. The Missouri State Water Patrol must solve the deaths of several residents who died in The River but can they stop this menace before more people are killed? And I have to share the video. Do you dare to watch it? You’ve been warned! 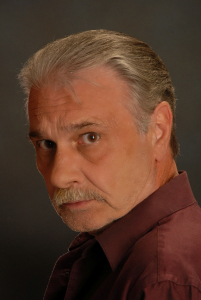 Thanks to Patrick Jones, for scaring us all, thanks to you for reading and you know what to do, like, share, comment, and CLICK (if you dare!) ! Ya ando de vuelta por Inglaterra, intentando organizándome después de la temporada alejada del internet, o al menos distanciada (es como ir en bicicleta. No se olvida pero se sufren las agujetas), y mientras preparo algunos posts más relacionado con mis vacaciones, me pareció bueno compartir una reseña del segundo libro de la serie de Black Psycho. Aquí os recuerdo mi reseña de la primera. Y os puedo anticipar que he leído la tercera, que está a punto de caer…pero, ya os contaré más. La segunda parte de la trilogía de novelas (o cómics sin dibujos) Black Psycho continúa las aventuras de la malvada psiquiatra Olga (no sé a quién me recuerda) que usa sus poderes extrasensoriales (telepatía y manipulación mental) para controlar a otros y obligarles a cometer crímenes terribles. Esta nueva entrega nos presenta a otro variopinto elenco de personajes: investigadores españoles e ingleses, un asesino a sueldo con corazón (e inclinaciones literarias, ‘el Poeta’), una psiquiatra vieja conocida y maestra de la protagonista de la serie, una madre de familia con sueños reveladores, un valiente y sabio anciano birmano que se enfrenta al mal, y revisitamos algunos de los personajes de la primera novela, no solo la villana que le da título, sino también el héroe y uno de los malos más inolvidables que recuerdo, que sufre una transformación fabulosa (es que los científicos a veces…). La novela, como la primera, está narrada por un narrador que aunque invisible, y que no forma parte de la historia, se dirige a los lectores, al estilo de las series televisivas de superhéroes de hace varias décadas, para asegurase de que no nos perdemos ningún detalle de la acción, que es mucha, rápida, y sin pausa. El estilo es fácil de seguir, con un lenguaje asequible y sin excesos de descripciones o narración. Estas no son novelas de gran complejidad psicológica, sino cómics para hacernos pasar un buen rato sin complicaciones y hacernos volver las páginas a ritmo vertiginoso. Y siempre hay personajes e intrigas sin resolver del todo, para dejar espacio a la imaginación del lector. Ahora, a por Black Psycho. Punto y final. Recibí una copia de esta novela en papel como regalo. Gracias a Javier Haro Herráiz por su libro, gracias a vosotros por leer, y si os ha interesado, dadle al me gusta, comentad, compartid y haced CLIC! #Bookreview. Conditions by Christoph Fischer (@CFFBooks). Because Normality Is Overvalued. And ‘Conditioned’ is coming soon. I’m now back in the UK and trying to get back into the swing of things after being away from the internet for a while (it’s like riding a bicycle, you don’t forget it but you get aches and pains), and while I prepare a few more posts about my experiences these holidays, I thought I’d share some of the reviews I wrote about the books I read while away. I have plenty to choose from, but I chose to talk about Conditions today, not only because I’ve enjoyed Christoph Fischer’s writing in the past, and he is always hard at work promoting other writers, but because I saw that his new book, Conditioned, the continuation of the adventures of those characters will be published next month and is already available in pre-order. So, what better? I’m a psychiatrist, and what is normal and how we define normality are questions that the more one works in the field, the more one wonders about. Absence of a diagnosable mental illness is not the same as what society might think as “normal behaviour”. And each individual’s opinion on the matter is even more varied. Culture shock, for instance, results from differences in what is accepted behaviour in countries far apart (although not necessarily as far as we might think). Being transplanted into a culture or a situation brand new for us might make us question if our version of normal is the correct one. Even what might be normal for our neighbours we might consider utterly bizarre. The author of this novel explores the reactions to a character, Charles, who has a psychiatric condition (a mental disorder unspecified in the book), by a number of people, including relatives (his brother and sister-in-law), close friends and acquaintances, complete strangers and previous employers. Charles’s diagnosis is left intentionally vague (we can speculate, based on the description of his behaviours, but that is not the point of the story. Charles’s behaviour is peculiar and bizarre at times, but he does not appear to be a danger to others and most of the time remains capable of making his own decisions and explaining himself, although not always) probably to avoid the temptation of turning the book into an apologia or a treatise to defend the sufferers of a particular illness or disorder. It is not about one set of symptoms or even one character, but it reflects back to us some of the standard reactions to people who might be affected by such a disorder. Are they really unable to do a day’s work, or is it all an excuse? Are they telling the truth or are they making up stories to get attention? Why should they be treated differently and given special privileges when they aren’t pulling their weight? Are they just exploiting the system? Should they just be locked up? The novel is written in the third person, at times by an omniscient narrator that shares the internal thoughts of some of the many characters, at times the third person narrator simply shares what is happening, without taking any specific point of view, but rather that of an objective observer. That contrast allows us to get a better understanding of the psychological make-up and reasons behind some of the characters’ reactions, and we can compare those reactions to the facts. Although we never get to see things from Charles’s perspective, we hear the stories of his friends (some closer than other) who are gathered, at the beginning of the book, to help him and accompany him on the occasion of his mother’s funeral. There are a number of works of fiction where a funeral brings people together to discuss the deceased, and in the process discover the true selves of those in attendance, although here, there is less discussion of Rose, the mother, and more of Charles. And also of the rest of the guests. We get to learn about them, their relationships (or lack of them), their sexuality, their weaknesses, their beliefs and interests, mostly through their conversations. All the characters have interesting backgrounds, lives and stories, and we become as curious about them as they are about each other. And we want to learn more. There is plenty of dialogue and not much description or narration. It struck me that this book would make a great play with many juicy parts for talented actors and actresses. When we get to know both his friends and those who aren’t that close to Charles, we come to understand that all of them (and by extension, also us) have their own conditions, and we shouldn’t be so quick to judge. Even the most enlightened of us can have prejudices and misjudge others if we are not open and refuse to take them on their own terms. Conditions has a fascinating array of characters and is a book that will make all readers think. I believe there is or will be a second part that will follow some of the characters’ stories. I’m looking forward to it. This is the second book I’ve read by this writer and I’m happy that he has so many books available and of varied styles and genres. I’ll keep reading him, enjoying his stories and watching his career. CONDITIONS aimed to sensitise readers and make them think about tolerance and acceptance. CONDITIONED wants readers to look beyond their attitude towards Conditions and examine what we all do and what we can do to overcome our challenges. The sequel is another snapshot of this circle of friends. Some will have improved their lives, others will not. Thanks to Christoph for your book, thanks to you all for reading, and if you’ve enjoyed it, you know what to do, like, share, comment and CLICK! And I’ll keep you updated! #Novedadliteraria. ‘Los cadáveres no sueñan’ de @enriquelaso ya disponible en preventa. Porque segundas partes a veces sí que son buenas. Es viernes y toca novedad literaria o autor invitado. Como sabréis, es con una alegría especial que traigo a mi blog a escritores que ya lo han visitado cuando tienen novedades que compartir, ya que es un gusto saber que a pesar de las dificultades, seguimos en la brecha a disposición de los lectores. 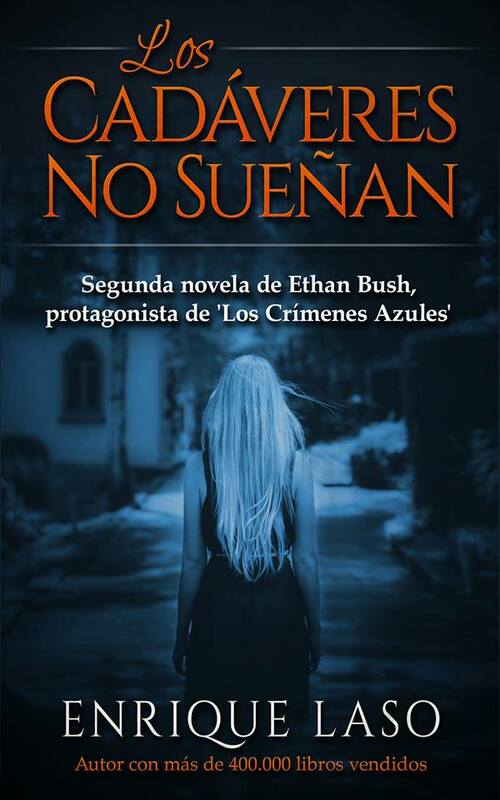 Hoy nos vuelve a visitar Enrique Laso autor que se ha ganado una popularidad más que merecida, y que ya tiene disponible en pre-venta, la segunda novela en su serie Ethan Bush, que nos trae más aventuras del protagonista de su gran éxito Los crímenes azules. Por si os perdísteis el post que le dediqué a esa novela (y a El rastreador de Blanca Miosi que también ha resultado ser un gran éxito) os dejo aquí el enlace. Miles de lectores en todo el mundo se han enganchado al BestSeller ‘Los Crímenes Azules’, protagonizado por el agente especial de la Unidad de Análisis de Conducta del FBI Ethan Bush. En esta ocasión la policía estatal de Nebraska requiere la colaboración del FBI: están apareciendo diversos esqueletos diseminados por lugares apartados de un tranquilo condado. 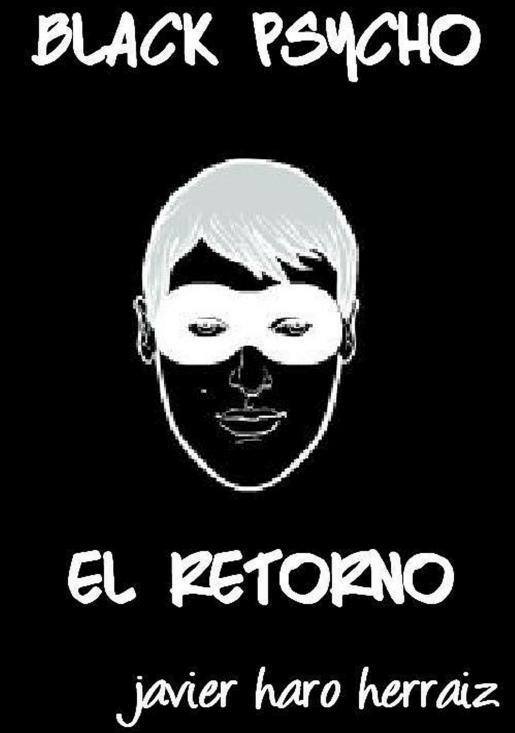 Los restos presentan un extraño ‘patrón’ que hace intuir a los investigadores que se enfrentan a un peligroso asesino en serie. En Washington no hay dudas: enviarán al agente más prometedor de la factoría de Quantico. Si te apasionaste con ‘Los Crímenes Azules’ volverás a disfrutar con LOS CADÁVERES NO SUEÑAN. Una novela policíaca que hará disfrutar a los amantes del género. ENRIQUE LASO, autor que ha vendido más de 400.000 libros en todo el mundo, regresa con su segunda novela negra, impulsado por el éxito sin precedentes tanto de ventas como de crítica de ‘Los Crímenes Azules’. Ah, y para que os animéis, tengo algunos datos para que os hagáis a la idea de el nivel de anticipación que ha causado esta novela que será publicada el 7 de Noviembre pero ya podéis reservar. En solo un mes, más de 400 pre-ventas. Y lleva el mismo tiempo entre los 100 top best-sellers. Es número 1 en su categoría en 3 países y número 1 en novedades en 5 países. Así que, ¿a qué estáis esperando? A por ella! 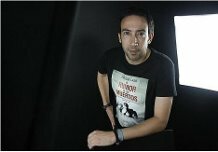 Muchas gracias a Enrique por traernos su novedad, gracias a todos vosotros por leer, y ya sabéis, dadle al me gusta, comentad, compartid, y haced CLIC! Friday is the day for new books and guest authors. I always love to have authors who have already featured in my blog come back with new offerings. It warms my heart to see that, however hard the task, we’re all committed to writing and creating new worlds. Today is one of these occasions, as Nicholas Rossis, a fantastic author and a generous blogger, is back with his new book. Just in case you missed my previous post about his books, here it is. And he brings us a treat for those of you who enjoy short and speculative fiction. Ten speculative fiction short stories and flash fiction, written by the award-winning author of Pearseus and Runaway Smile. Although they seem to be concerned with various themes, there are certain passions that run through them. What is the nature of reality; digital and corporeal? Is there more to the world than we can see? How far can we trust our senses? “Infinite Waters“: A woman seeks her future at a carnival. She discovers more than she expected. “The Things We Do for Lust“: Beware of time travelers bearing gifts. “A Twist of the Tail“: A confused woman meanders through a sleepy town. But not all is as it seems. “The Hand of God“: Nothing has prepared a grizzly veteran for this meeting *. 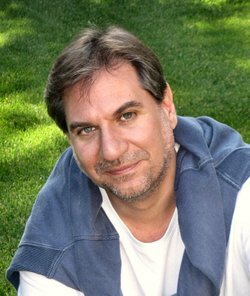 Nicholas Rossis lives to write and does so from his cottage on the edge of a magical forest in Athens, Greece. When not composing epic fantasies or short sci-fi stories, he chats with fans and colleagues, writes blog posts, walks his dog, and enjoys the antics of two silly cats, one of whom claims his lap as home. His children’s book, Runaway Smile, earned a finalist slot in the 2015 International Book Awards. Just in case you need more convincing, I’ve chosen one of the many fabulous reviews the book already has. It is a five star review. I’ve said it before, and I’ll say it again. Nicholas Rossis is a master of the craft. Each of these short stories is handcrafted with the utmost attention to every facet of good story telling. But more, Nicholas finds a way to wrap the collection in a “meta” story. It was a brilliant way of grouping together a set of seemingly unrelated short stories. I read each of these over the course of a couple of days, and I found myself looking forward to coming home so I could dig into the next story. In short fiction, you don’t have a lot of room for error. Every sentence, every word should have to fight for its existence, and Nicholas handles this expertly. Each story pulls you in to its unique little universe and takes you on a ride where the tracks are hidden, and you can’t see the corners up ahead. 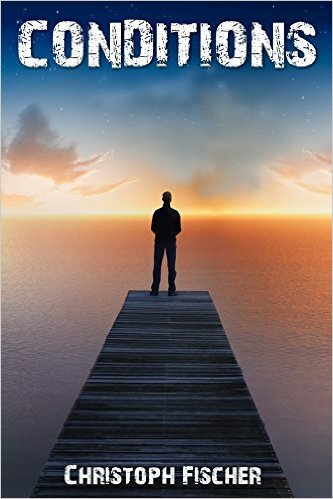 If you want to experience what good short fiction is like, grab a copy of Infinite Waters. 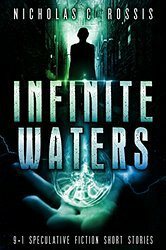 Ah, and best of all, Infinite Waters is FREE from the 17th to the 21st of September and on the same dates The Power of Six is only $0.99. Now, what excuse do you have to not CLICK? Thanks so much to Nicholas for his new book, thanks to all of you for reading, and you know, like, share, comment and CLICK! Estoy de vuelta! 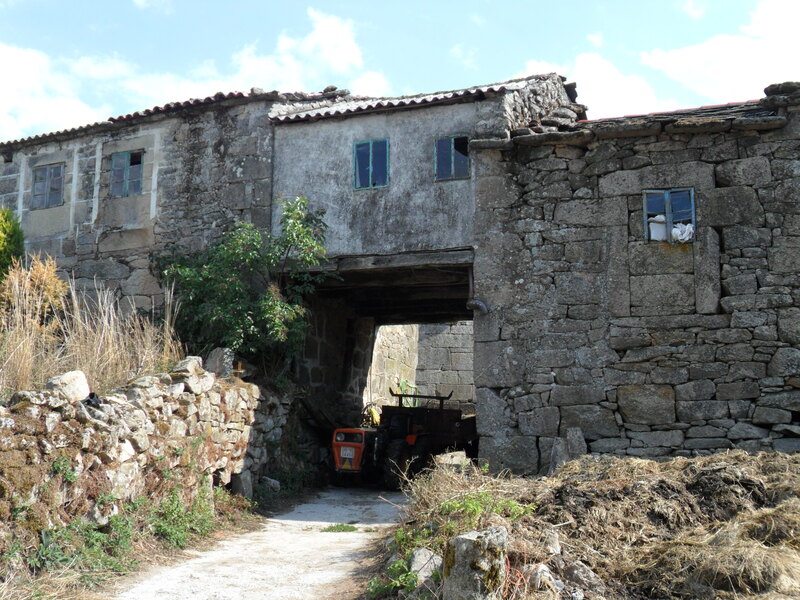 #Galicia, casas y otras cosas. Como ya sabéis, he estado fuera, en un sitio sin acceso regular a internet, las últimas semanas. 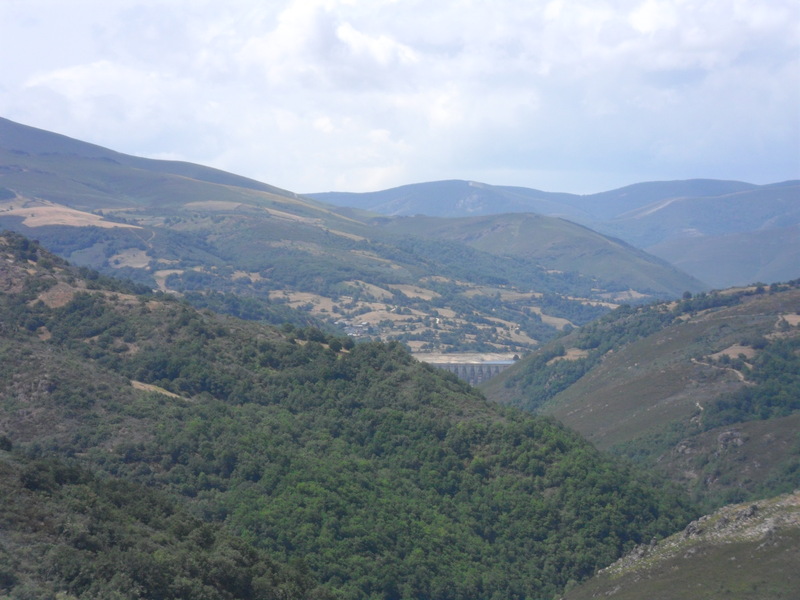 Tocaba volver a la aldea en el noroeste de España (una región que se llama Galicia, y que aquellos que hayáis leído sobre el Camino de Santiago ya conoceréis) donde nació mi padre, Paradaseca, para depositar sus cenizas al lado de las de sus padres. Yo no había estado allí en 25 años, más o menos, así que como os imaginareis fue una experience. Parte viaje en el tiempo, parte una sensación de que todo había cambiado solo para que todo (o casi) siguiera igual. El sitio donde nació mi padre está en una zona muy rural que ha conocido un masivo movimiento migratorio, con muchos de sus habitantes mudándose a grandes ciudades, ya sea en España o en otros países. Como resultado de ese movimiento de la población existen muchos lugares donde solo queda gente mayor y otros que están completamente vacíos. Muchas propiedades muy baratas aunque a veces el acceso a ciertos servicios es limitado. Encontré un artículo sobre ese tema, que aunque en inglés, os dejo por si os interesa. Tengo planeados una serie de posts (y posiblemente algunos vídeos, una vez esté de vuelta en casa con una conexión mejor) pero mientras tanto, decidí compartir algunas fotos. Como os he comentado, habrá más posts. Ah, y aunque no dispuse de tanto tiempo como había anticipado (encontrarse de nuevo con parientes a los que no había visto hacía muchos años puede resultar en largas conversaciones) conseguí leerme algunos libros y espero poder seguir con mis reseñas. Gracias por vuestra paciencia, por leer, y estoy segura de que aún os acordáis de lo que hay que hacer: darle al me gusta, comentar, compartir, y si os va el inglés, hacer CLIC!